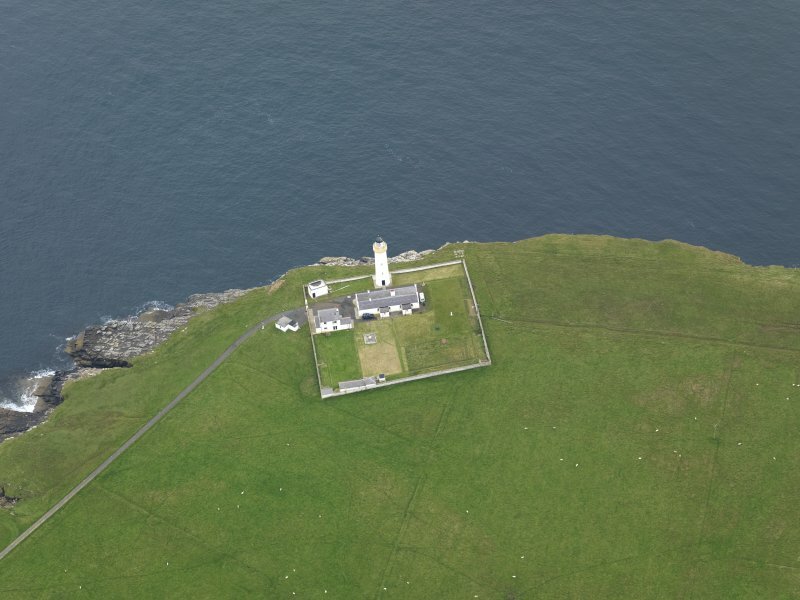 Oblique aerial view centred on the lighthouse with the keepers' cottage adjacent, taken from the S.
Oblique aerial view centred on the lighthouse with the keepers' cottage adjacent, taken from the SE. 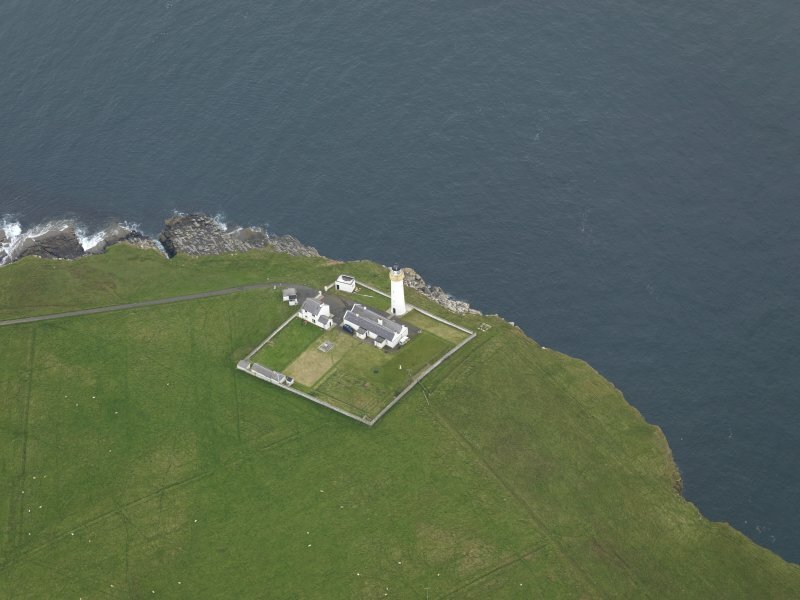 Oblique aerial view centred on the lighthouse with the keepers' cottage adjacent, taken from the NW. 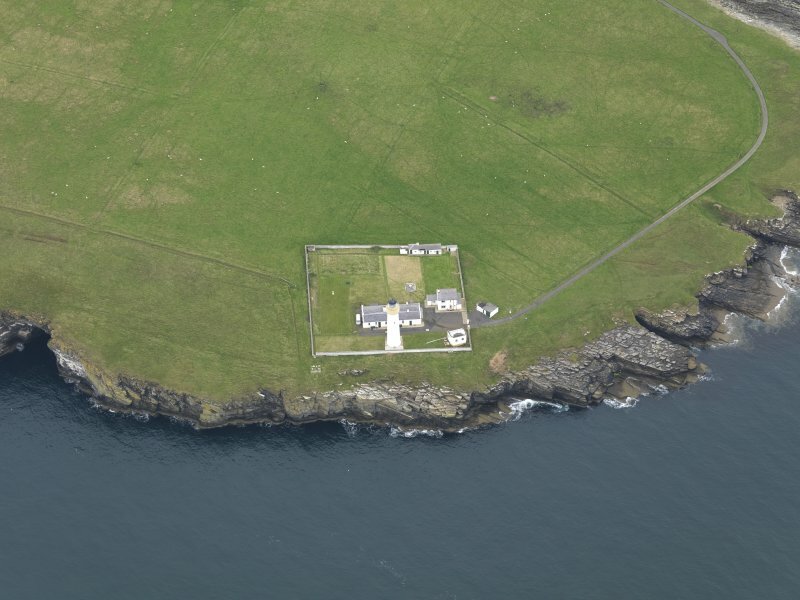 Oblique aerial view centred on the lighthouse with the keepers' cottage adjacent, taken from the W.
Oblique aerial view centred on the lighthouse with the keepers' cottage adjacent, taken from the N.
Not to be confused with Ruff of Cantick, Beacon (ND 34786 89773), for which see ND38NW 21. (Location cited as ND 347 893). 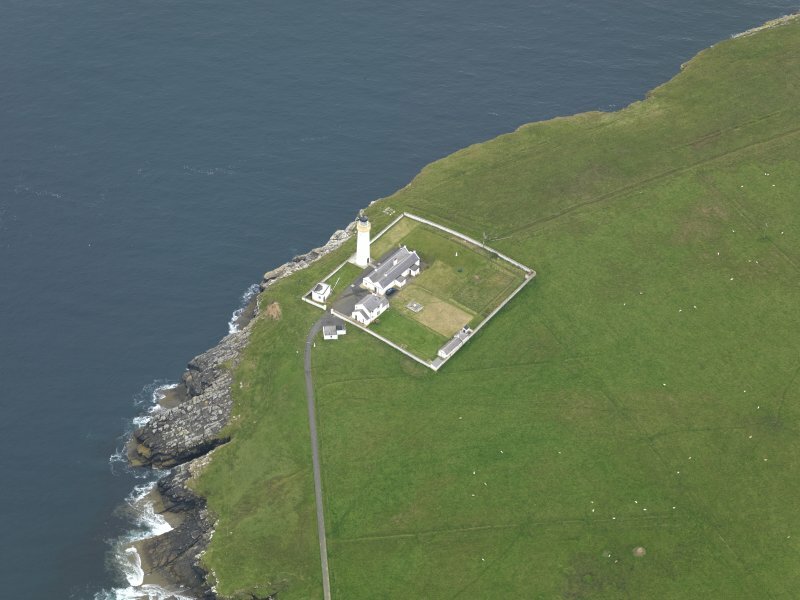 Cantick Head Lighthouse, South Walls, completed 1858, engineer Alan Stevenson. A tapering circular-section tower with corbelled walk-way. The keepers' houses have, unusually, ridge roofs. See also sale brochure, Knight, Frank and Rutley, June 1991 for text, photograph and other items relating to sale of lightkeepers' houses, filed D 10.1 LIG (S). 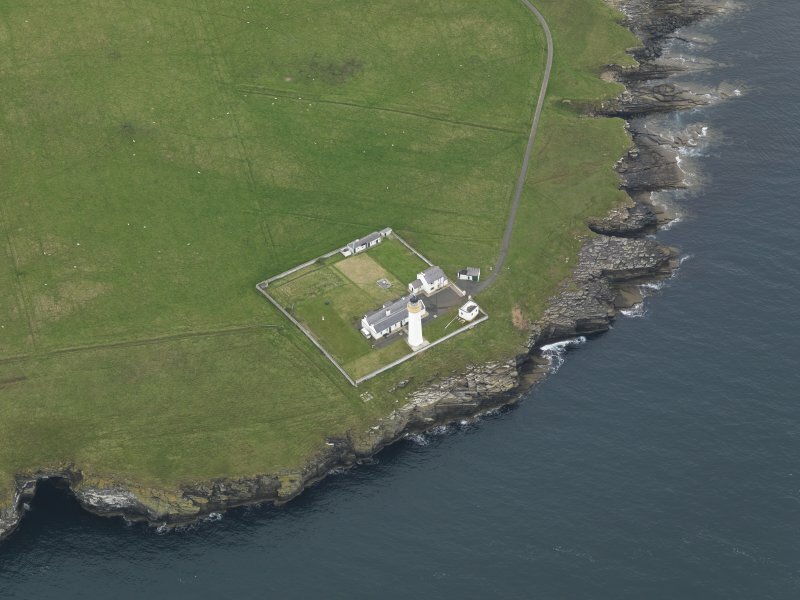 Information from RCAHMS 1991, updated 2009.